Few weeks ago, i was working in Macau. 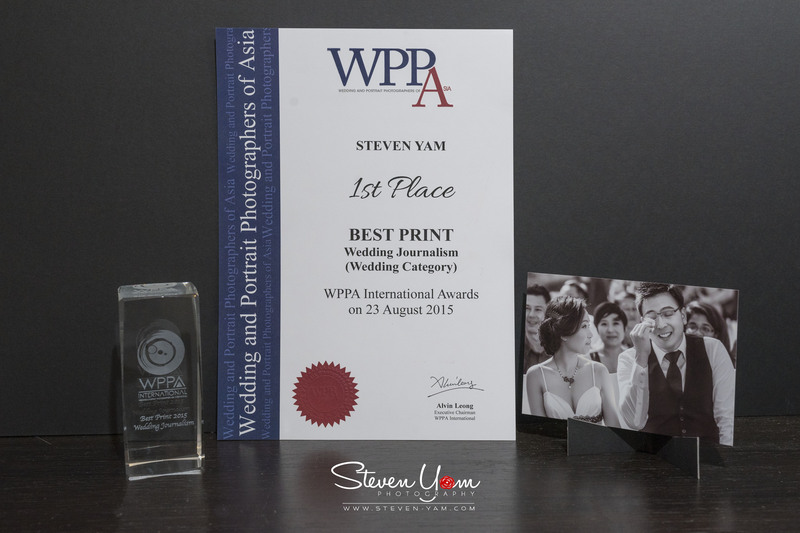 It was so surprise that my friend message me and told me one of my print i submitted to the WPPA print competition, have won the 1st place in Wedding Journalism. I was so surprise and excited when the news came to me. This was my 1st International award in my journey of photography. I would like to thanks my mom, my dad and my love one for always being supportive no matter it was a good day or bad day. Further, i would like to thanks WPPA for organizing such a wonderful events. Special thanks to all my mentor Victor, Muse, and Jensom for guiding and polishing me on my skill. This was the best recognition for all the hard work i had put in the past 2 years. Last but not least, i would like to thanks all my clients for the trust in me and allow me to take part in your big day. For my future clients, i promise i will work harder and i will try my best to provide the best services that i can.